ALEX SALMOND is to host his own political talk show on Russia Today. The former first minister announced he will present the programme on the Russian state-owned broadcaster. Airing on Thursdays, The Alex Salmond Show will include guests from business, political and entertainment backgrounds. He said: “This programme will give people with something to say a platform to say it, and we intend to find out something about the personalities behind the public figures. “In this show I’m going to give you the opportunity to get to know our guests just that bit better. “I’m not interested in catching people out on statistics or laying them low with past quotations. 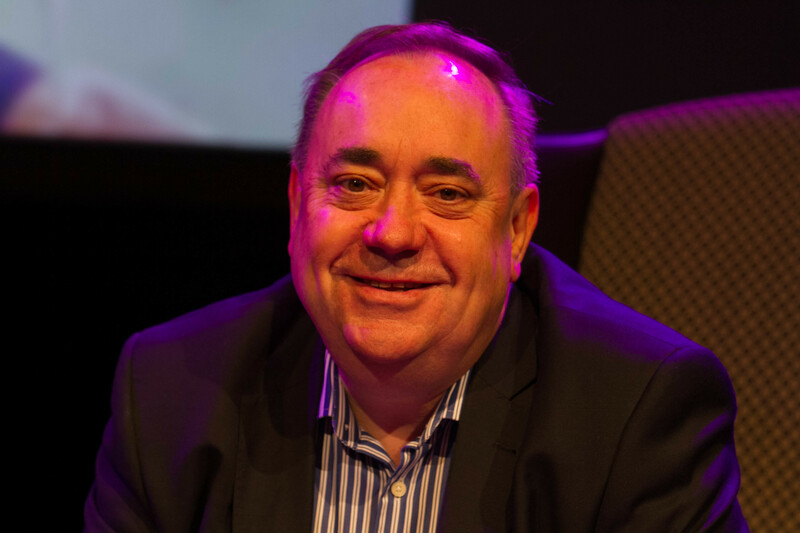 The idea for the programme was inspired by his Edinburgh Fringe Festival show, Alex Salmond Unleashed. It will be divided into two parts, one giving someone a platform to air their ideas followed by questioning from the 62-year-old, while the second will be a more personal interview. Produced by Slainte Media, the first broadcast will be on Thursday November 16. Scottish Liberal Democrat leader Willie Rennie said: “What an unedifying spectacle to see a former first minister who fancies himself as the Michael Parkinson of (Vladimir) Putin’s propaganda channel.